← Ants with wings – a new fashion trend or something out of a horror movie? 5 times, I’m afraid. Once at the tweet, which made me click, then once at each mention of how contagious (there’s another one!) it can be. I could be empathetic, imaginative, or simply tired 🙂 I’m not sure which is more fascinating, that the thought of it can be as contagious as the sight and sound, or that we don’t know why. 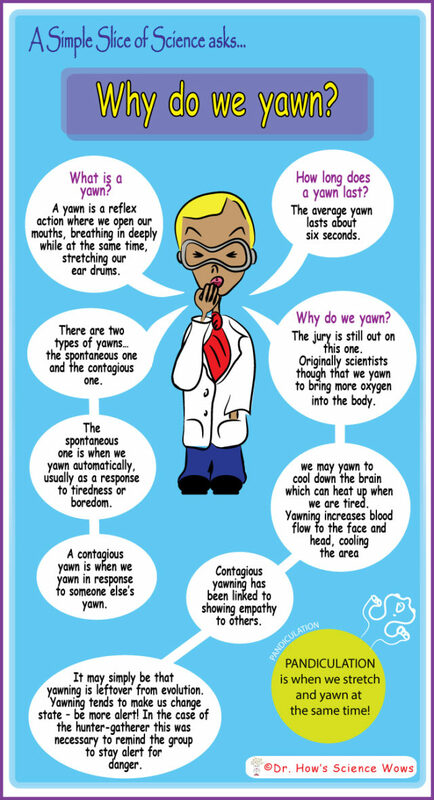 nao recently posted…A simple slice of science – Why do we yawn? Love it! Thanks so much for answering Emily’s question.